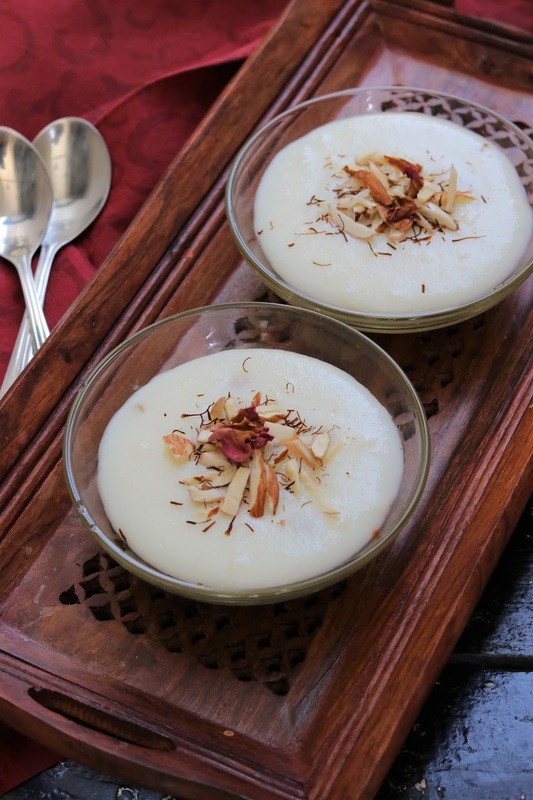 See how to make Phirni recipe in just 5 min at home. Phirni/ Firni is a very popular rice pudding dessert in India. This samak phirni can be consumed during navratri days or for fast/vrat. It's a traditional sweet recipe for fast. 1. Soak samak rice in double the quantity of water for 2 hours. Grind it in mixer jar to form paste. 2. Heat milk in a heavy bottomed pan. Add the prepared rice paste and stir it continuously on lowest flame till it thickens up and cook well. It will take 5-10 min. Add more milk if required. 3. Once the milk mixture gets thick, add in sugar along with nuts. Cook for few more minutes till sugar dissolves. 4. Cool phirni down and refrigerate it for 2 hours until chilled. 5. 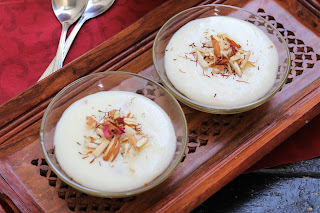 Serve the samak phirni chilled. Garnish with saffron strands, nuts and rose petals.